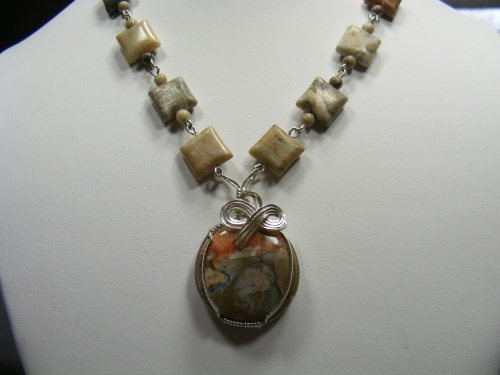 This necklace is made of jasper square stones embellished with tiny riverstone beads and with a focal of mushroom jasper. The colors make it so itll match almost any outfit. Lightweight to wear and measures 18" long.